One thing's for sure: homeowners love talking about their equity and how proud they are of it. And proud they should be. After all, equity is the amount of value in an investment -- in this case a house -- that belongs to the owner outright. Here's how it works: When you buy a house with a mortgage but make a low down payment or none at all, you start out with lots of debt but very little or no equity. But as you pay down your mortgage, your equity increases exponentially -- especially if the house's market value increases. You don't have to wait, however. With proper planning, you can structure your home purchase so that the property comes with equity built in. Putting a hefty down payment on your house will give you some equity from day one. If, for example, you purchase a house for $100,000 and put 20 percent down, you will have $20,000 of equity in the house from the beginning. You can amass a sizable down payment by saving your earnings or cashing in some stocks. If you're buying your first home, you can take up to $10,000 from an IRA tax-free to help with the purchase. 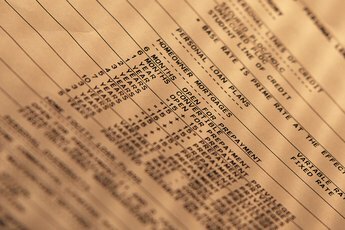 Some 401(k) plans allow participants to borrow against their account or you can perhaps borrow from a close friend or relative. Money borrowed from a friend or 401(k) will need paid back, but these debts won't affect your credit or negate the equity you'll have in your new home. If you already own a home or another piece of property, you can use the equity you have in it to give you instant equity in your new home. 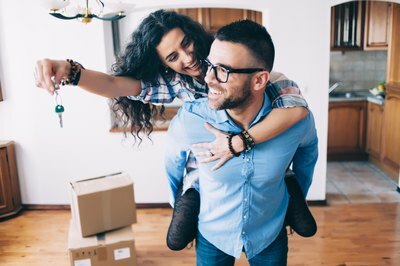 You can accomplish this through a home equity line of credit (HELOC) or by using your existing property to secure a signature loan for a large down payment on the new property. Lenders are usually quick to approve loans secured by another property because you have more to lose if you fail to pay your loan. Remember, however, that this approach reduces your equity in one property as it increases it in the other. If you pay cash for a house, you own it outright and have 100 percent equity from the get-go. Pulling this off is tricky but not impossible. To do so, you and your spouse should start saving your income as soon as you possibly can. Put any cash gifts you receive from relatives and friends for your wedding in a savings account to use toward the purchase of your new home. You also increase your odds of paying cash for your house if you shop foreclosures and auctions. You may have to save and shop around for a while to find a home that you can buy outright, but the time you invest will pay off when you own your home and have no mortgage. Buying a fixer-upper won't grant you instant equity, but it will get you close. Houses that need a little TLC sell for less than those in mint condition. If you can buy the house cheap and then get the work done quickly, the value of the house will increase as soon as it's fixed. Exercise caution with this approach, however. If you spend too much fixing the house you could end up spending more for the house and repairs than the property is worth, leaving you upside down instead of giving you fast equity. Work closely with your realtor and general contractor when shopping for a home that needs work to make sure you get it right. As a last resort, to buy a house with equity, consider borrowing your down payment from trusted relatives, such as your parents or grandparents. Show good faith by paying back the loan as quickly as possible. With an A-list credit rating, you could take out a low-interest signature loan and purchase a house outright at auction. Put any cash gifts you receive from relatives and friends for your wedding in a savings account to use toward the purchase of your new home. 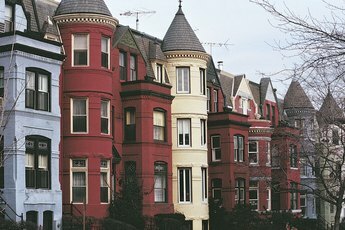 Nolo.com: Your Down Payment: Where Will It Come From? Can a Mortgage Help Pay Off Credit Card Debt? 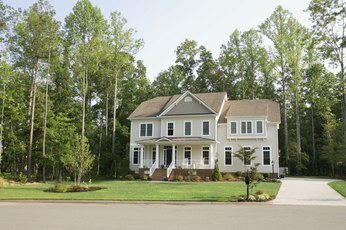 Can You Borrow on Your Home to Buy a Second Home?